So, you’ve gone to the dentist and you get the news no adult wants to hear – you need braces. Or, maybe you want braces to get your perfect smile. Either way, there are understandable feelings of consternation. You might be worried about social embarrassment or about having to hide your teeth in photographs. Maybe you had braces as a child, and you’re holding on to some bad memories. Whatever your feeling, you don’t have to feel it. In fact, the only thing you should feel is excitement about the prospect of your new straight and healthy teeth. So, here’s why you shouldn’t be worried about adult braces. Want straight teeth but don’t like the idea of visible braces? Well, why don’t you get some invisible ones like Invisalign. 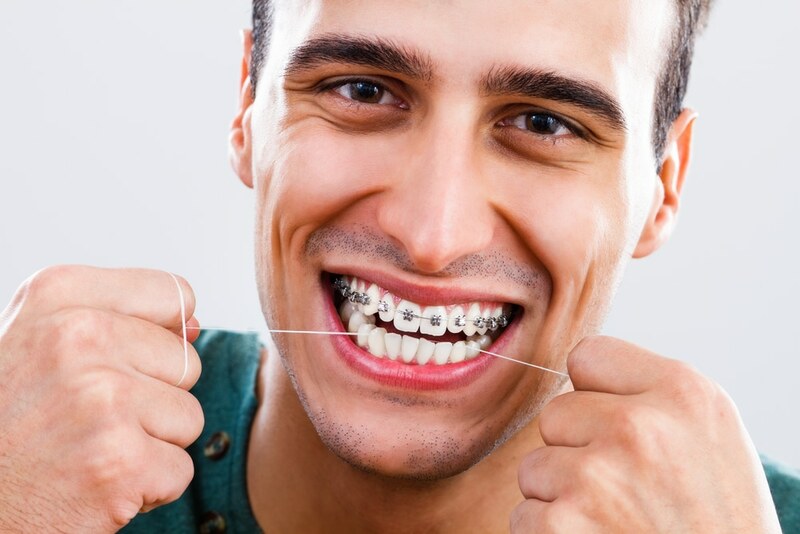 They act as a series of clear custom-made shells over your teeth, each set move your teeth gradually and painlessly until your teeth have been gently nudged back into desired position. All of these options mean you can correct your teeth without the visibility problem. Pain and any form of dentistry seem to go hand in hand. This is an unfair association and one that really doesn’t hold up. In fact, having invisible braces fitted really isn’t a painful process at all. There is some slight discomfort and pressure in the beginning, but even in the worst case scenario, any aches and pain can be easily-treated with OTC pain medication, and it will wear off in a few days. Some teeth straightening procedures can be treated in as little as a few months, especially if you only need the front teeth aligned. Even complex problems typically only take about 18 months to two years. That may seem like a long time but can you put a price on a straight smile and a proper bite? The cost of your braces will depend on the treatment you need. A six-month treatment will cost less than a two-year one. There are always ways you can save money, and your dentist will be able to come up with a way to make your treatments more affordable. Your private health insurance may also cover part of the bill. Don’t just accept you can’t afford it, investigate your options. At dhealth, we even have payment plans available, just ask our friendly staff about it! If you want a successful orthodontic treatment, it is still paramount to keep each of your teeth healthy, so you still need to avoid sugary and fizzy drinks to avoid any decalcification which creates white spots on the teeth. Visiting your dentist at least twice a year is a must. This gives your dentist the chance to keep an eye on your progress and make any necessary changes. Even the slightest problem could prolong your treatment which will cost you money. So, as you can see braces are a small (and even invisible) price to pay for the perfect smile. If you’ve been putting off your orthodontic treatment, put it off no longer. You have nothing to fear and everything to gain!